Every time the budget season arrived, there would be the familiar argument between the top editors of pink (business) newspapers where I worked for a long, long while and some of us journalists who were dubbed "the Reds". The argument went on predictable lines: subsidies on food, fertiliser and petroleum should be reduced, as drastically as can be, because welfare-oriented price offsets are a drain on the economy. But if the so-called "Reds" brought up the issue of the huge losses—termed non-performing assets or NPAs—of the banks on account of corporate loans we were told very sharply that these should not be linked in any way because loans to companies are productive, spurring economic growth while creating assets and jobs. Companies, it appeared, were thus free to run up debts without any fear because it was all for a good cause. 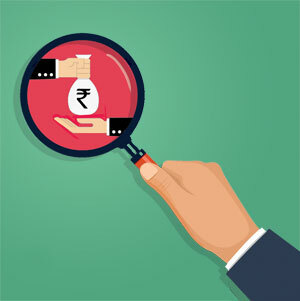 So crony capitalism flourished in India and public sector banks, which were arm-twisted into giving loans to the powerfully-connected, were periodically bailed out by the government. Of course, banks cannot escape the blame for the mess. Many of them have thrown commercial logic to the winds and forked out staggering amounts to such entities without securing assets. A spectacular example of this is Vijay Mallya who drove his Kingfisher Airlines into the ground through mismanagement. Not only did state-owned banks offer generous loans but they also refinanced the doomed venture. Banks are now saddled with bad debts of Rs 7,000 crore which they will never recover because the assets of Kingfisher are valued at a piffling Rs 65 lakh! (see Kingfisher and Cronies, Down To Earth 16-31 December, 2011). Yet, Mallya has been able to fend off the tag of "wilful defaulter" on legal loopholes. That such gross mismanagement by public banks happens at the expense of taxpayers is an inconvenient fact that the pink press usually glosses over. Till Reserve Bank of India (RBI) governor Raghuram Rajan spoke of the predatory and callous nature of large corporate borrowers in India and urged RBI staff to take stern action against big borrowers. Perhaps, this is the first definitive strike against crony capitalism which has been the bane of this country and a major reason for the mounting debts of state-run banks which is now staggering. An official reply to the Indian Express says 29 such banks wrote off a total of Rs 1.14 lakh crore of bad debts between 2013 and 2015. Nor has this bleeding been staunched by the Narendra Modi government. However, the more promising development has come from the Supreme Court. It has given RBI six weeks to provide a list of all companies who owe Rs 500 crore and more to state-run banks. It asked why banks were sanctioning huge loans without proper guidelines and if there were ways of recovering debts. In the coming budget, the Finance Minister has some tricky balancing to work out in the allocations. State-owned banks need more funding and there is a clamour for refinancing. But so do a lot of priority sectors. Will banks be helped at the cost of the poor with the subsidies pared again? Who foots the huge dole for business?